Still looking for a Christmas present for that special pilot? 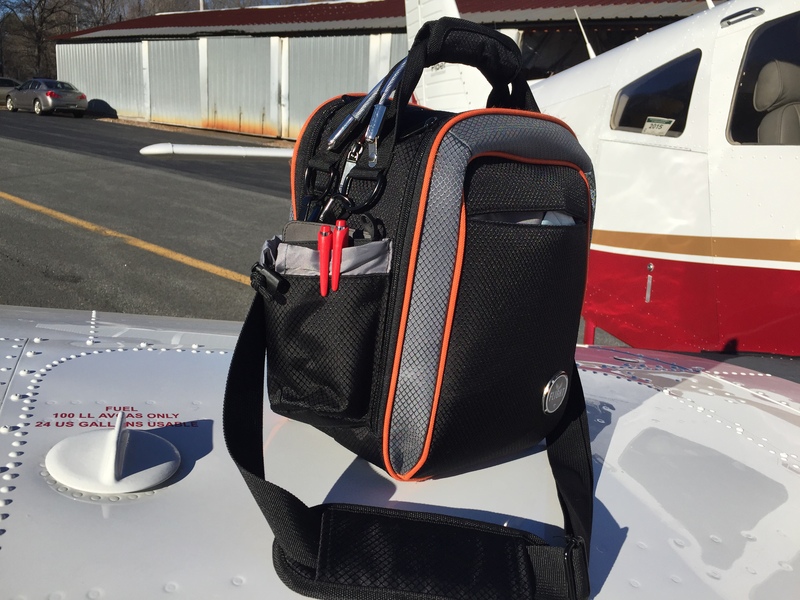 The Flight Outfitters Lift bag, available from Sporty’s will fit your last minute gift ideas! Over the years, I think I have tried about a dozen flight bags. My wife would argue with that and say it is more like 20 flight bags. Maybe it is somewhere in between those numbers. Yup, I have a Brightline, a David Clark, a couple of Noral’s, a Jepessen, ASA, an AOPA bag, and several no names. Flight bags are something like the Goldilocks story. Some are too big, some are too small, and some are just right. Well, I think that I might have found the flight bag that seems to be just right. I think the same might apply to aviation flight bags. 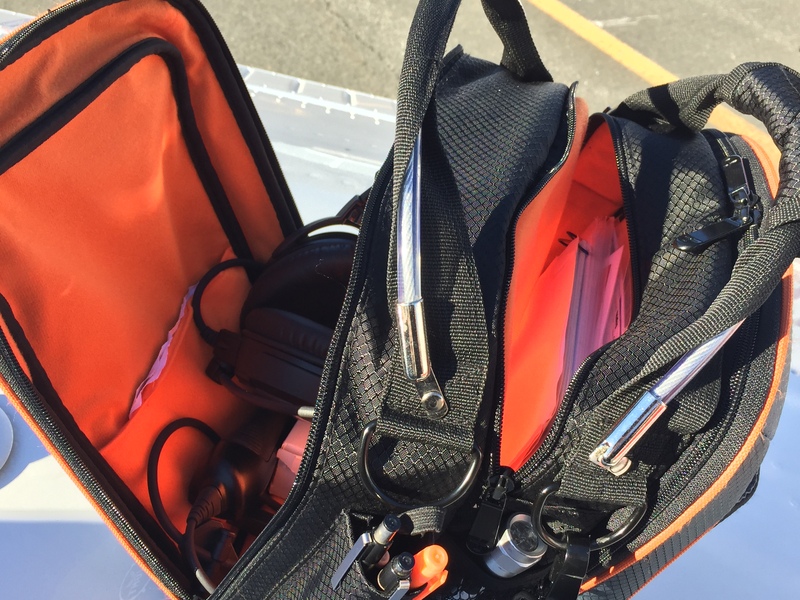 Pilots continue to put ‘stuff’ in their flight bag based upon the available space in the flight bag. So, a small flight bag will be overflowing and according to Parkinson, a large flight bag will also be overflowing. Plenty of room for a headset, the Lift will accommodate any commercially available headset on the market today quite well. Well, I think that I found a flight bag that for some reason, it does not comply with Parkinson’s law. The Flight Outfitters Lift bag is the right size, holds plenty, and yet still seems to have extra room that is not begging to be filled up. Even with a dual purpose (no pun intended) to my flying, the Lift provides storage for all of the important items and doesn’t encourage me to bring anything I don’t really need. 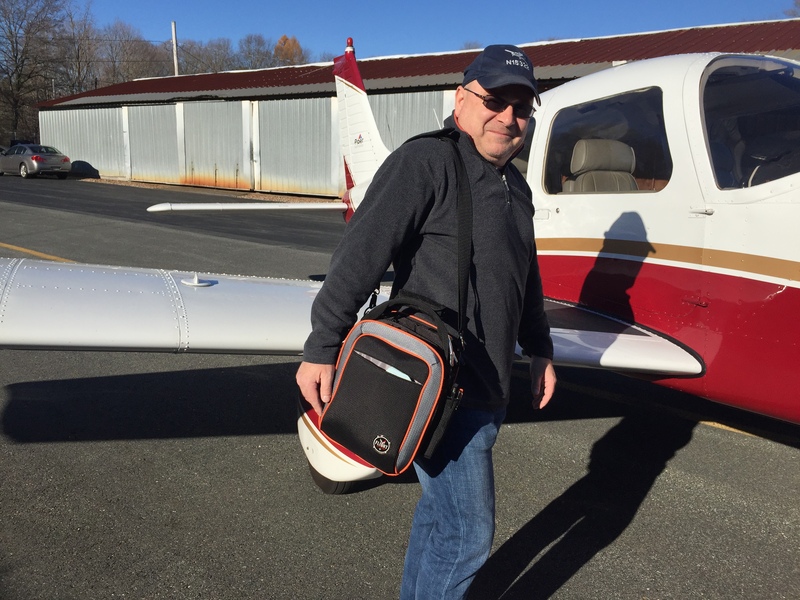 I am a part-time flight instructor and also own my own airplane, so I need one bag to serve both functions. I think the Outfitters Lift bag provides the ease of a smaller size bag and still has plenty of room. It works well for me going between the flight school airplanes and my airplane. Still, if I am just doing one or the other it nevertheless fits the purpose. 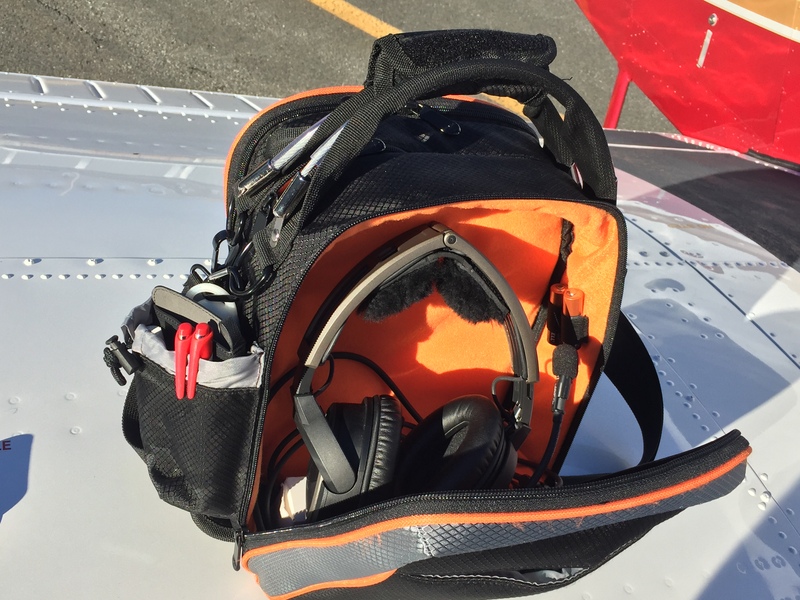 I want a flight bag with a couple of outside pockets, something to protect my headset, provide space for my iPad, outside pockets for pens, portable radio, and charts. I am used to bags with outside chart pockets that tend to rough up charts stored there. The Outfitters’ pockets are constructed to be deep enough for charts and offer a covering to keep the charts handy without having them flap around. The inside pocket lining is made with soft fleece to protect both a headset and in another inside pocket an iPad. The bag is a tad bigger than what the advertising photos might show. The bag is 12” high by 10½” wide and 9” deep. Peter, a fellow pilot and friend of mine is shown here with the Lift bag. Peter is of average size, so that gives you a gauge of the bag size. Presently, Peter uses a Brightline flight bag, we’ll see if I convinced him to switch! 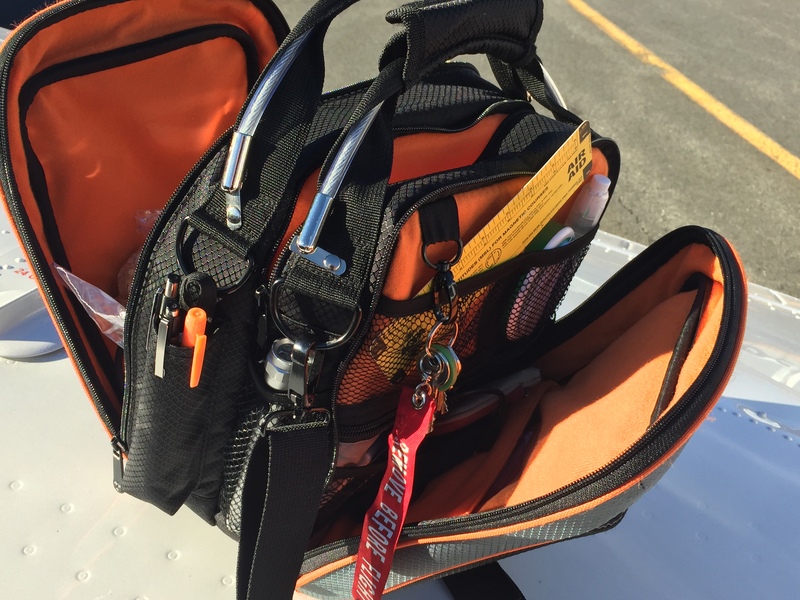 When student pilots ask me about a flight bag I usually caution them against getting a flight bag that is too big. Should they fall into the Parkinson’s Law theory, the flight bag will definitely need to be a major part of the weight and balance calculation. The Outfitters Lift bag offers plenty of space in a compact design that will not force a visit to the chiropractor. Now, I just need to find an appropriate bag for my airplane log books.